Roofs are made to last for a considerable amount of time, but exposure to the elements can shorten their lifespan. Many people are not able to tell when it is time to replace a roof because all roofs age differently. However, there are signs that you should look out for to know when you might need a new roof. When any of these signs appear, it could mean that it is time to get an estimate for roof replacement. One of the easiest ways to tell if it is time to replace your roof is by considering how long the roof has protected your home. Most roof manufacturers recommend that roofs are effective for 20 to 25 years depending on the environment and other factors such as the layer of shingles and ventilation. Roofs made from materials such as metal or tile have a longer lifespan than asphalt shingle roofs. If your property’s roof is over 20 years old, you may need to start planning on its replacement to avoid damages that could be caused by a failing roof. If you can see light coming into your attic, this means there may be holes in the roof and that the sun’s rays are finding a way in through the holes. The holes could be cracks that have developed on the roof or be due to missing shingles. It is essential to replace the roof if you see sunlight in the attic because if daylight is getting in, water can get in, too. Asphalt shingles should lay flat on the roof and be covered in granules. If the shingles are warped, cracked, or bald, they cannot effectively keep water away from the roof deck. 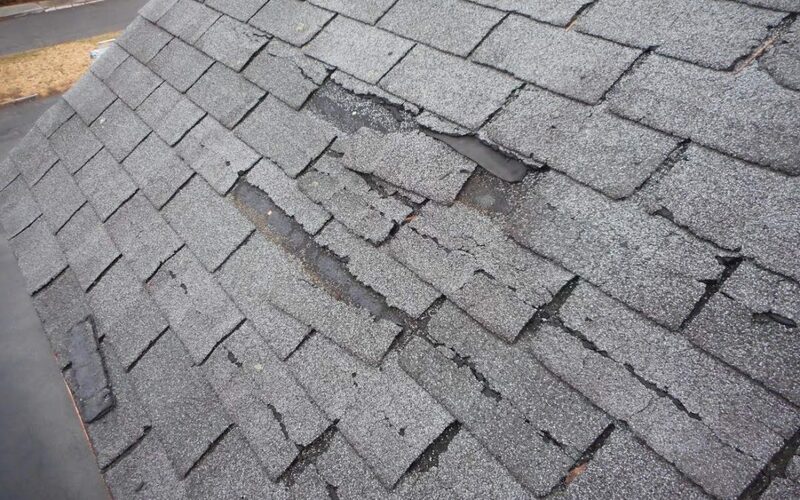 While one or two shingles can be replaced, if many shingles all over the roof are showing signs of damage or wear, this is a sign that you need a new roof. If you notice that the structure of the roof is visibly sagging by looking at it from the yard, this is a definite sign that you need a new roof. Once a roof starts sagging, it is in danger of failing completely and causing structural damage that is more expensive than a roof replacement. If you are finding signs of water leaks in the attic, water marks on your ceiling, peeling paint on the interior walls, or mold growth, these could all be signs of roof leaks. If you have a roof leak, your roof is probably also showing some of the other signs that you need a new roof listed above. Assure Home Inspections serves the Chicagoland area with home inspection services. Contact us to book an appointment.